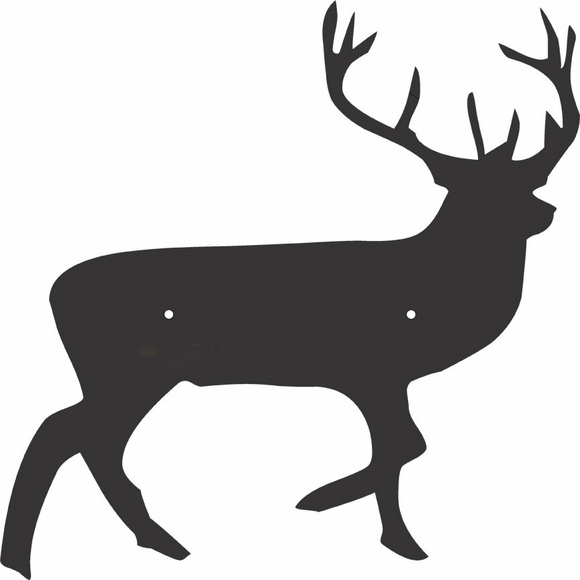 Wild Animal Silhouette Sign - - animal shape blank panel. Twenty-one animal silhouettes from salamanders to elephants. Custom made just for you. Made in the USA. Wall mount or lawn mount using our optional 24" steel lawn stake (shown in Related Products). Wild animal silhouette selection: elephant, monkey, elk, rabbit, bison, lion, rhinoceros, hippopotamus, platypus, deer, squirrel, porcupine, sea horse, moose, ram, horse, salamander, wolf, donkey, lamb, and bear. Ready to hang on a wall just for fun or to conceal unsightly blemishes. Dimensions (approximate): 12" wide and from 5.5" to 12" high depending on the breed. Size too small for your particular application? Larger wild animal silhouettes up to 36" are available. Please contact us for details. Click top link in Related Products for more information on the optional lawn stake (Comfort House item # CGS24001).